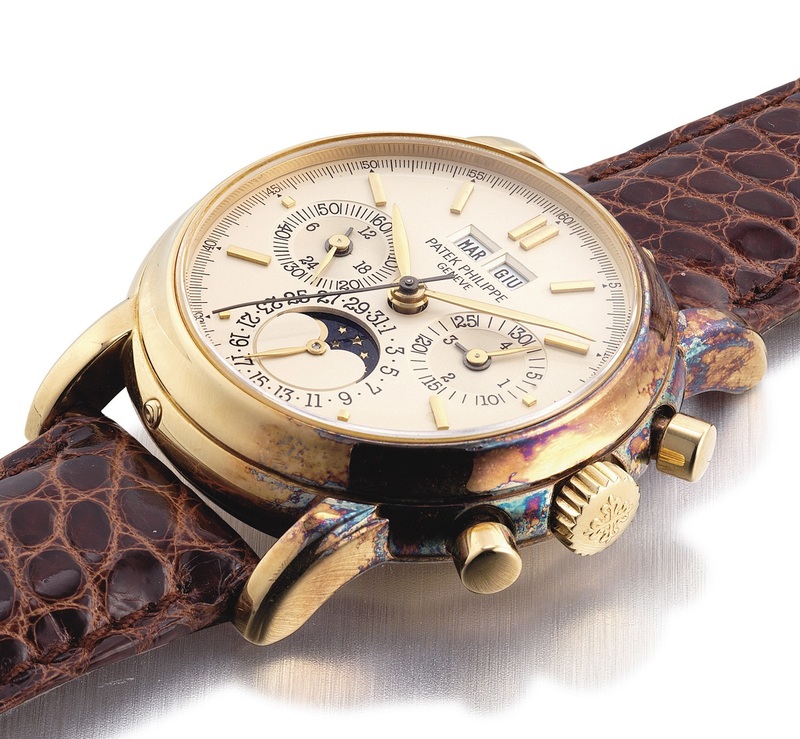 On May 28 Christie's will offer over 600 lots at its Hong Kong sale, including several rare Lemania-based Patek Philippe chronographs, a Panana Canal Rolex, and, for the first time ever at auction, the behemoth Lange 31. 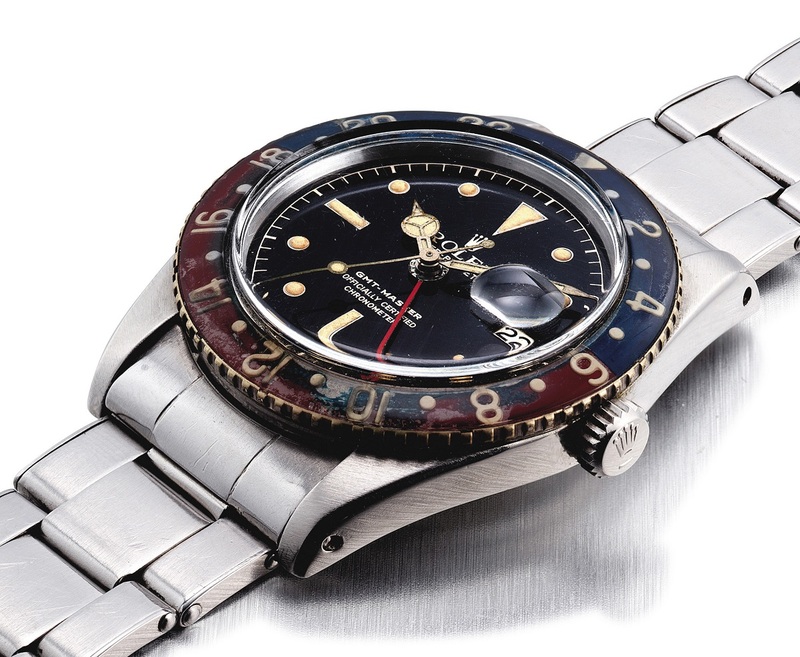 And for vintage fans there's a Rolex GMT-Master 6542 with original box and papers. Christie’s Spring auctions 2014 will take place at end May in Hong Kong, with a bumper crop of watches on offer. As is typically the case with the Hong Kong sale, there is a preponderance of contemporary watches, from both established and also independent brands. Independent watchmakers have a strong presence in this sale, with timepieces from several of them on offer, including niche players like De Bethune and Ludovic Ballouard. 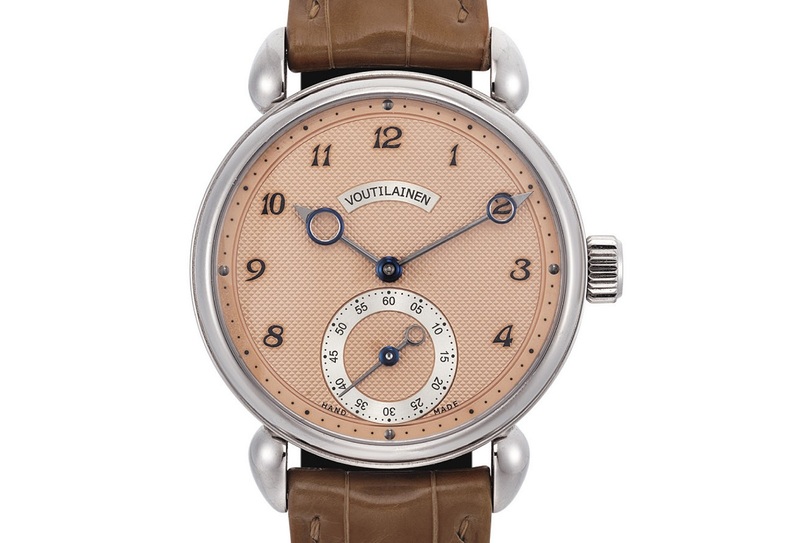 Notable amongst the independents is lot 2258, a Kari Voutilainen Vingt-8 in white gold with a custom order salmon guilloche dial featuring Breguet numerals. This is estimated at US$40,000-60,000. Just a few lots on is an early Patek Philippe reference 3970, circa 1988, with the leaf hands and screw back found only on the second series watches. Specimens of the 3970 with leaf, or feuille, hands are the most beautiful of the series. This particular watch has significant oxidisation on the case, having been worn little. 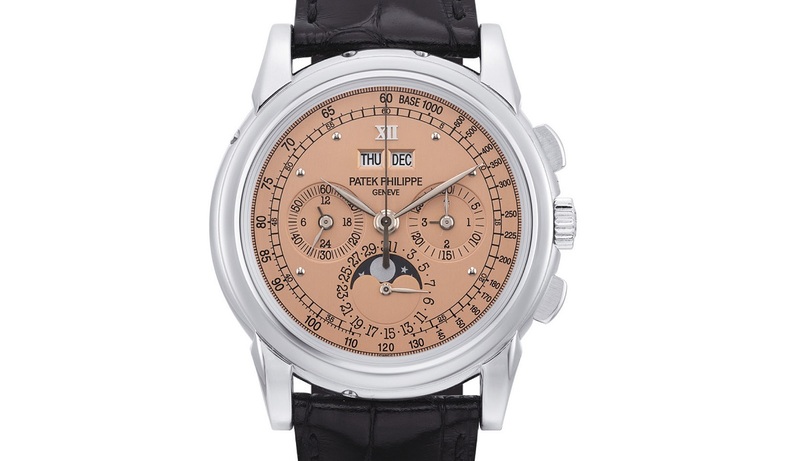 With an estimate of US$50,000-70,000, this is a reasonable entry into high end Patek Philippe. For those with significantly deeper pockets, a pair of very special reference 5970 are also on offer. 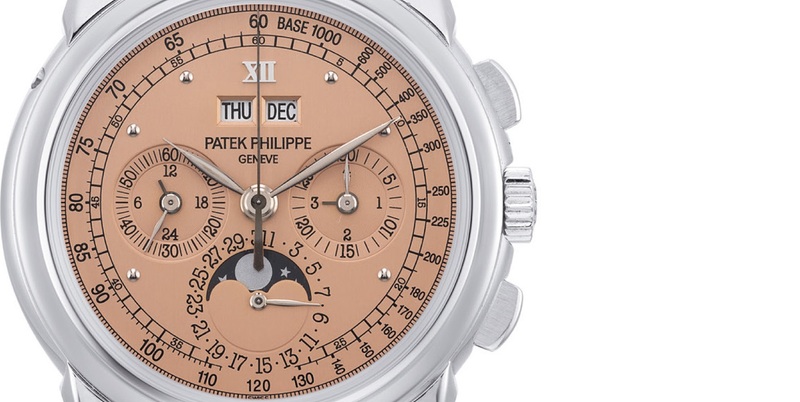 This reference succeeded the 3970, and at the very end of its production run Patek Philippe created a limited number of sets, each with four watches featuring special dials. 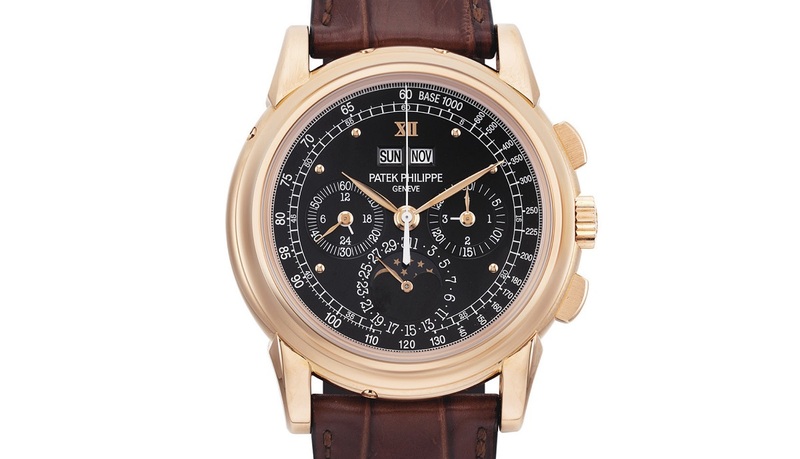 Lot 2605 is the 5970 in rose gold with a black dial, with a US$300,000-500,000 estimate. And with the same estimate is lot 2608, the same in white gold with a salmon dial. We published live photos of these earlier this month. 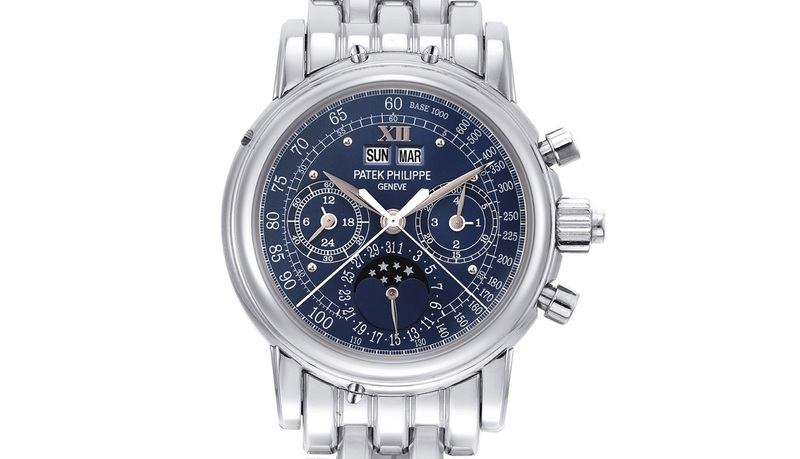 And from the same owner is lot 2612, a reference 5004 split-seconds chronograph with perpetual calendar in platinum, with a matching platinum bracelet. Estimated at US$500,000-800,000, this was made in very small numbers. Arguably more historically significant, but also tremendously better value, is lot 2738. 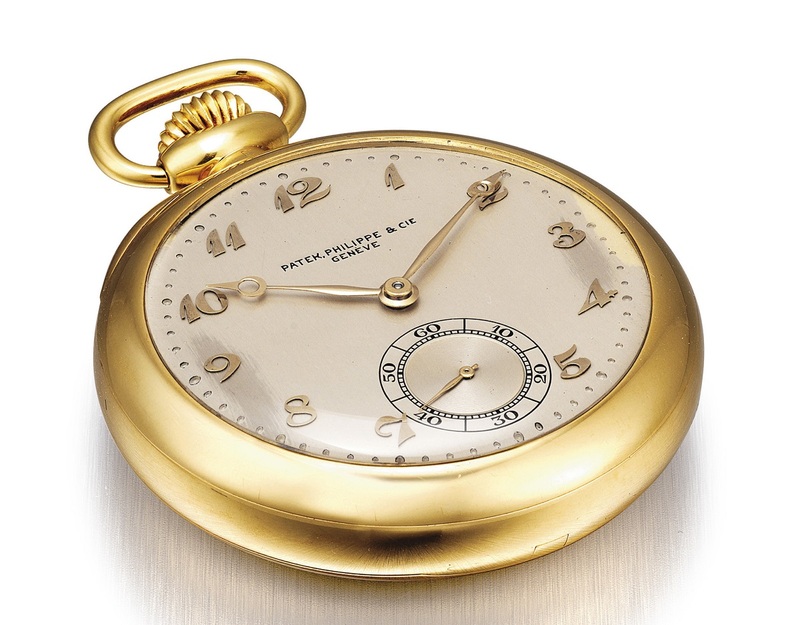 This is a Patek Philippe pocket watch with tourbillon regulator. Produced in 1930 and sold in 1947, this pocket watch won first prize at the Geneva Observatory trials three times (meaning it got first prize but did not place first in the category) and took the “first first” prize twice (first prize and first in category). The tourbillon carriage was produced by noted watchmaker Hector Golay, and the movement subsequently finished, assembled and regulated by Francois Moudoux at Patek Philippe. This very special timepiece is estimated at US$150,000-200,000. Another notable tourbillon in the sale is lot 2456. 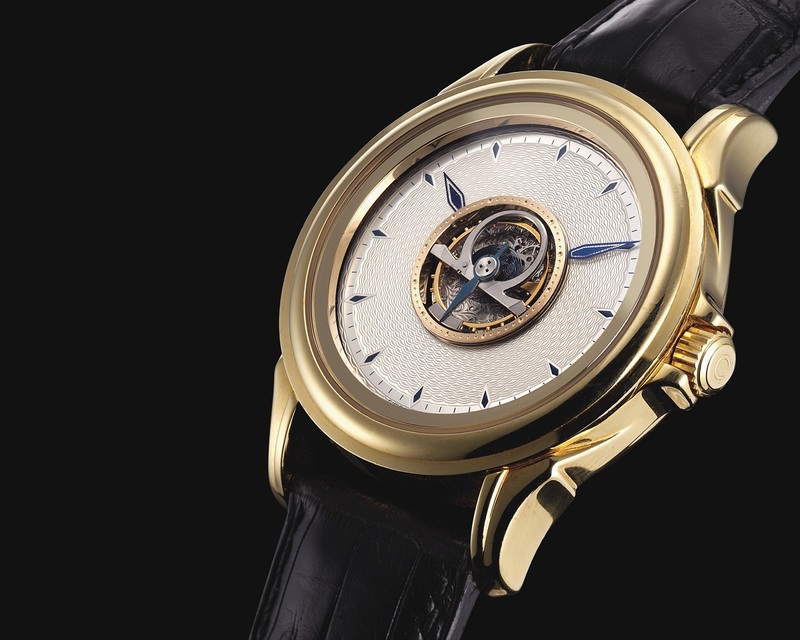 Omega created its self-winding, central tourbillon in 1994 for its centenary. The Omega central tourbillon features the tourbillon is the centre of the dial, with the hands on clear sapphire discs. These were made in small quantities and were never really popular, which explains the US$30,000-50,000 estimate. Despite its relative obscurity, the Omega central tourbillon is a wonderful example of an unusual complication that has only been made by Omega and independent watchmaker Beat Haldimann. German high horology is represented at the sale in a big way, literally. 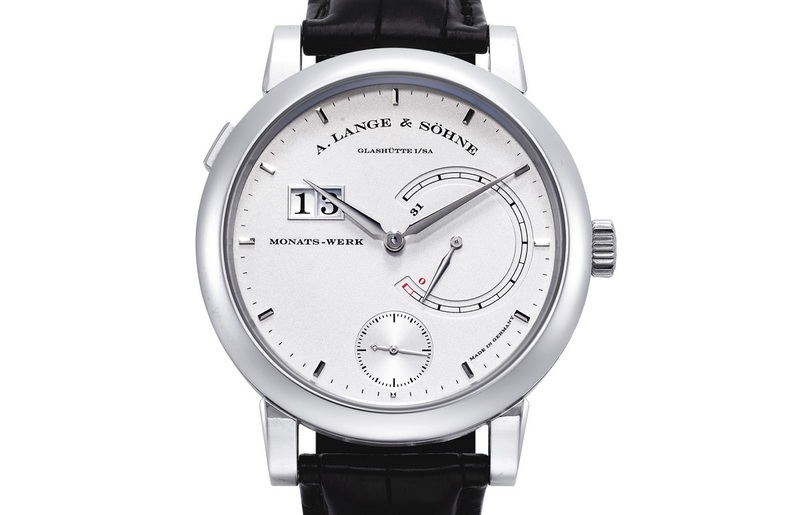 Offered for the first time at auction is the 46 mm Lange 31 in platinum. Weighing some half a pound, the Lange 31 was the world’s first wristwatch with a month’s power reserve, thanks to a huge, 1.8 m long mainspring. The enormous torque from the mainspring is regulated by a constant force mechanism, which evens out the power delivery over its 31 day autonomy. This is estimated at US$80,000-120,000. And Rolex of course requires mention. 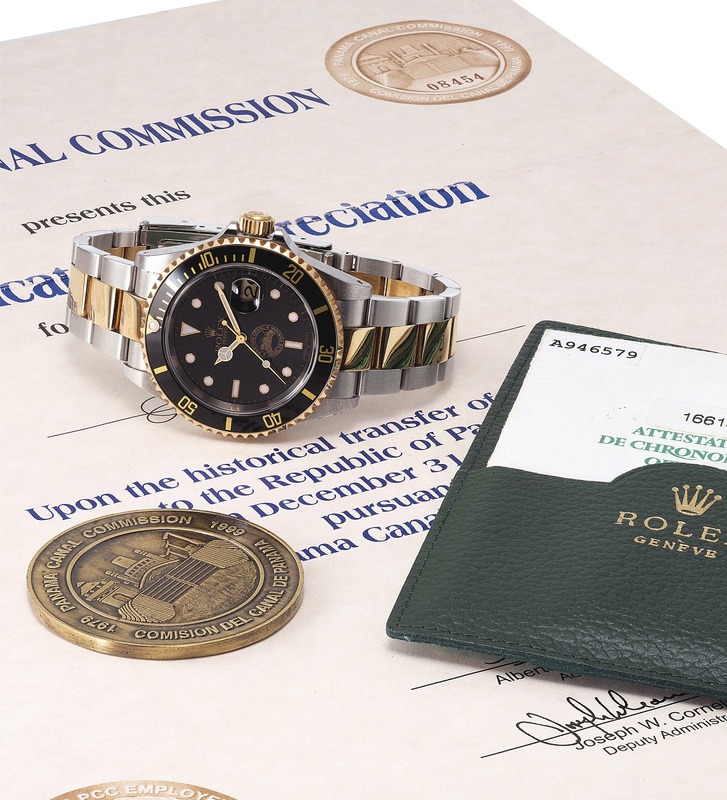 Modern Rolex watches are rarely noteworthy, but lot 2653 is significant. This steel and gold Submariner was made in a limited edition of 75 pieces in steel and gold for the 1999 handover of the Panama Canal from United States control to Panama (another 75 pieces were made in steel). Identical to a regular Submariner save for the Panana Canal logo at six o’clock and the edition number on the back, this is estimated at US$8000-12,000. This was consigned by someone involved in the Panama Canal handover, so is complete with a presentation certificate and coin struck for the event. Also complete with boxes and papers is a GMT-Master reference 6542 with bakelite bezel. Circa 1959, this 6542 is complete with the box, warranty dated 1962 and sale tag. Making it even more desirable is the original bakelite bezel, few of which have survived due to the brittle nature of the plastic. This is estimated at US$45,000-62,000. Amidst the craziness in vintage Rolex prices, there are still some modest buys available. 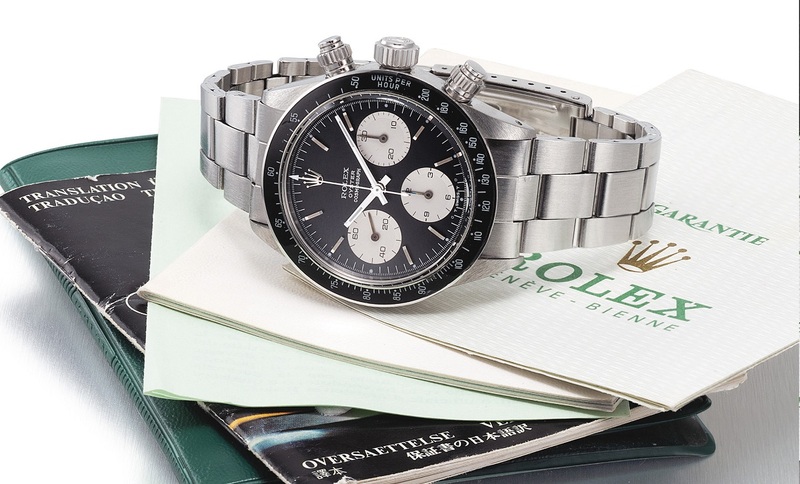 One example is lot 2708, a 1973 Rolex chronograph reference 6263 with original box and papers. These are almost identical to the far more valuable Daytona chronographs, but because they are not the prices are more affordable. Estimated at US$15,000-23,000. The Christie’s sale takes place on May 28 in Hong Kong. The full catalogue can be had from Christie’s.